Los Alamos Daily Photo: Tennis Anyone? October night still warm enough for some night tennis. 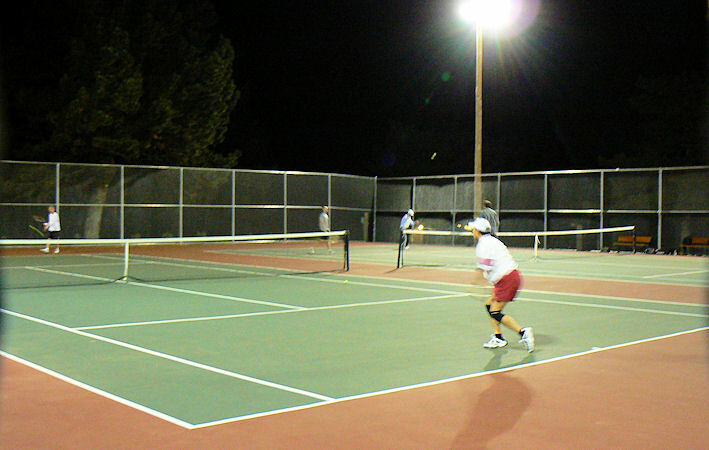 All 4 courts were busy tonight at Urban Park. I used to play Tennis when I was a kid. Now I stick to ping pong. Seeing your picture made me wonder if we had courts here, but I don't remember seeing any.